Author Terry Tempest Williams, having lost her mother to cancer, begins to mend in the company of birds and nature. 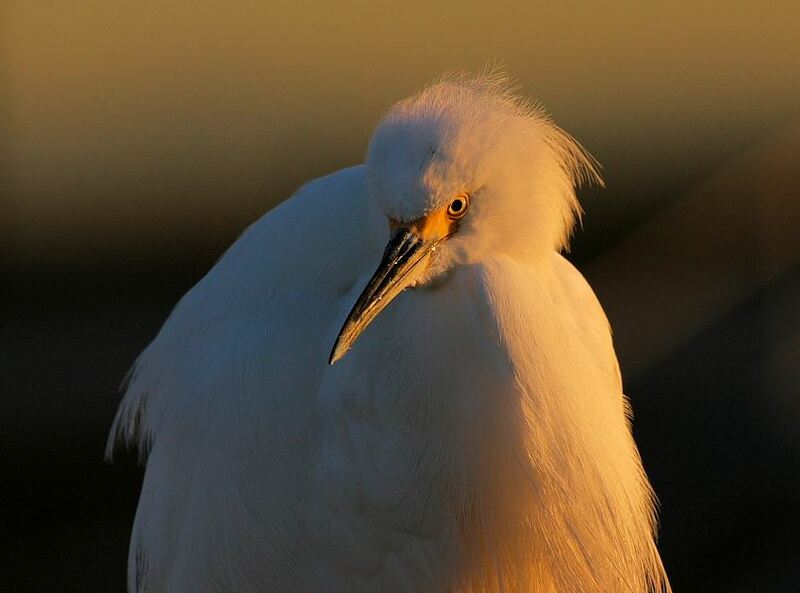 Here is a paraphrase from Terry's book, Refuge: There is a holy place in the salt desert, where egrets hover like angels. It is a cave near the lake where water bubbles up from inside the earth. 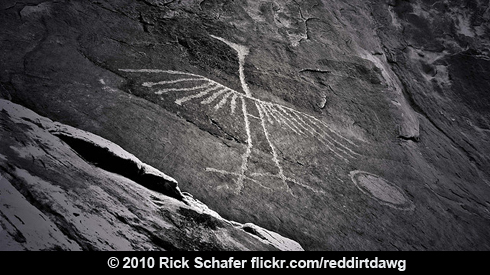 Pictographs of waterbirds decorate the interior of the cave. Herons, egrets, and cranes. Human figures dance wildly. I kneel at the spring and drink. This is the secret den of my healing. My skin draws moisture from the rocks as my eyes adjust to the darkness…Pictographs of waterbirds decorate the interior of the cave. Herons, egrets, and cranes. Tadpoles and serpents stain the walls red. Human figures dance wildly, backs arched, hips thrust forward. A spear-thrower lunges toward fish. Beyond him stands a water-jug maiden faintly painted above ferns. So lucent are these forms on the weeping rocks, they could be smeared without thought. I kneel at the spring and drink. This is the secret den of my healing, where I come to whittle down my losses. I carve chevrons, the simple image of birds, on rabbit bones cleaned by eagles. And I sing without the embarrassment of being heard. Find links on our website, birdnote.org. Excerpted from Refuge: An Unnatural History of Family and Place, originally published by Pantheon Books, ©1991 by Terry Tempest Williams. The collaboration of the author with David Darling and Nancy Rumbel was arranged and recorded by Mickey Houlihan and Dewitt Dagett. Wind Over The Earth series. www.windovertheearth.com ©2002 Wind Over the Earth. Used with permission from Mickey Houlihan. Learn more about Terry's book, Refuge.